Alpha Genesis Inc. provides the highest quality nonhuman primate products and bio-research services world-wide. With a client base that extends across North America, Europe, and Asia, we are dedicated to providing only the best and most cost-effective primate research and development support to the scientific community. The Alpha Genesis Primate Research Center maintains a team of highly qualified professionals who work diligently in the development and execution of a vast range of nonhuman primate contract research applications. The staff is extensively experienced and has ready-access to the most physically and psychologically healthy nonhuman primates available. Our team can provide you with the most cost-effective, highest quality, prompt and personalized nonhuman primate research and support services in the industry. As an established, recognized research facility, AGI has assisted our partners in conducting preclinical primate research studies in a variety of areas. We are experienced in vaccine development, therapeutic drug therapies, viral pathogenesis, small molecule administration, pharmacokinetics, and experimental surgical procedures. Because we have developed our own domestic breeding center, we can offer models for various pre-natal to geriatric research strategies. 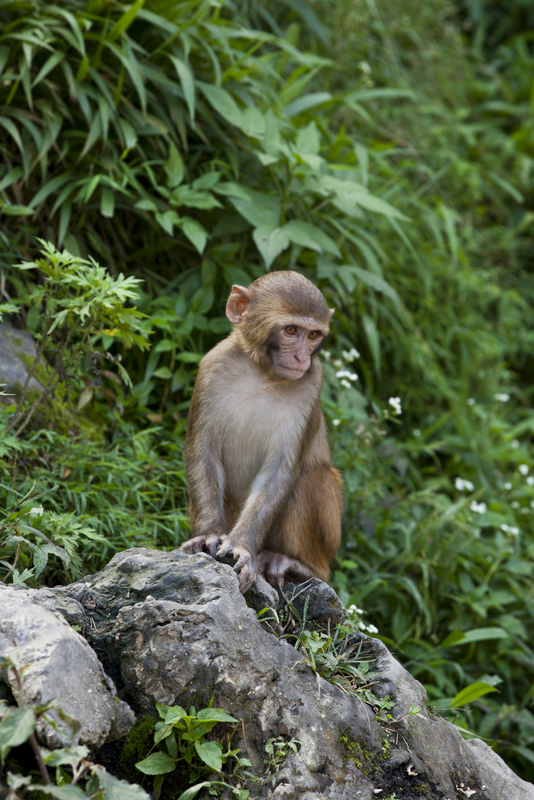 Projects utilizing cynomolgus or rhesus monkeys can be initiated on short lead times, as a pool of quarantined animals is maintained on the premises. AGI guarantees supply flexibility and access to a significant number of animals ranging in age from infancy through adulthood. All AGI sourced monkeys come complete with full health records and breeding histories, thus ensuring that we can produce the required naïve primates for your development program. AGI provides enriched housing facilities for nonhuman primates in both CDC quarantine and non-quarantine settings on a cost-effective per diem basis. Buy and board agreements ensure long-term on-demand availability, and are carefully designed to meet your detailed research specifications. Extensive nonhuman primate expertise and accredited facilities ensure the highest standards of care and preparation for your research animals, resulting in the highest quality research outcomes and the best possible use of your research funds. Alpha Genesis® Inc. (AGI) provides the highest quality nonhuman primate products and bio-research services world-wide.